This has been a really hard week for New England. My thoughts go out to everyone in Boston, and I hope that the city is finally able to breathe a sigh of relief. I really want to move further south for gorgeous wedding inspiration today. The Cherry Blossom Festival is still going on is Washington D.C. and if you’ve never been, I really recommend it. There is nothing more gorgeous than the cherry trees in bloom. 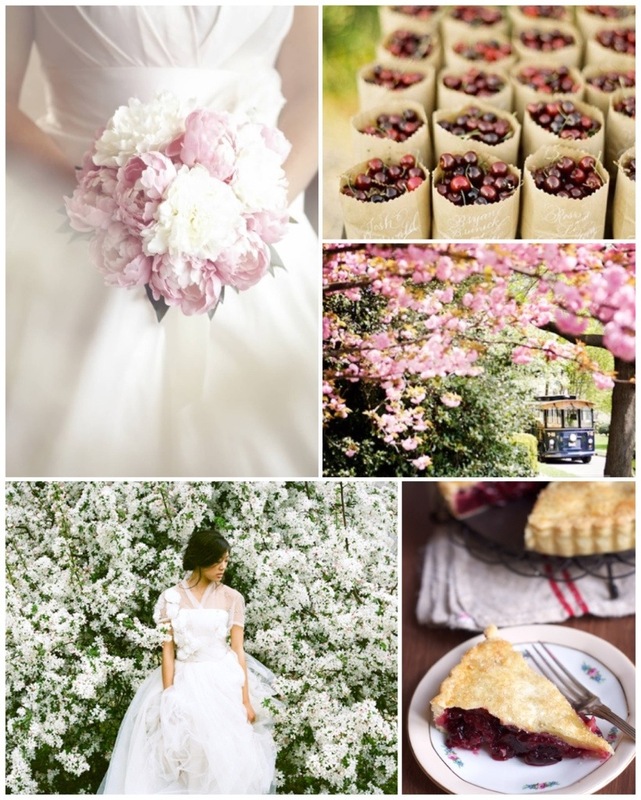 Getting married under the cherry blossoms would really be picture perfect! What an awesome spring wedding! I grew up with a cherry tree in my front yard. When the blossoms fell it looked like pink snow. It would have made for the best aisle runner!